An opinion piece was recently published in the New England Journal of Medicine, written by Dr. Philip Landrigan (an M.D.) and Dr. Charles Benbrook (PhD) titled “GMOs, Herbicides, and Public Health”. I was asked to review the piece this week, and I can only assume it will eventually make the rounds on social media. So I thought it was worth commenting here since it is related to herbicides and herbicide-resistant GMO crops. The “Perspective” piece is basically a plea from Dr. Landrigan and Dr. Benbrook for “all aspects of the safety of biotechnology” to be “thoroughly reconsider[ed]”. However, in the two page opinion, they provide no evidence that crop biotechnology is harmful. In fact, Landrigan and Benbrook acknowledge that the National Academy of Sciences (NAS) “has twice reviewed the safety of GM crops” and they do not dispute the scientific consensus expressed by NAS that “GM crops pose no unique hazards to human health.” The way I read it, the entire Perspective piece seems to be a muddled conflation of two separate (albeit related) issues; the use of GMO crops and the use of herbicides. Dr. Landrigan and Dr. Benbrook cite a list of concerns with two specific herbicides (glyphosate and 2,4-D), and use those concerns, among other things, to support a call for labeling of GMO foods at the end of the piece. But labeling GMO foods would provide little to no information about the herbicides (or other pesticides) used. For example, the herbicide 2,4-D can already be used on a vast number of crops that are not GMO (including corn, wheat, barley, and oats), so the GMO label would provide no indication about use of this herbicide. If the authors are truly concerned about the use of herbicides, their focus here on GMO crops seems misplaced. Some GMO crops significantly reduce pesticide use, so citing herbicide use concerns for a broad “GMO” label is counterproductive. In the Perspective piece, Landrigan & Benbrook state that 0.4 million kg of glyphosate was used in the US in 1974 (the first year it was commercially available), and that use has increased 250-fold since then. This may sound concerning, but if you compare use of any popular product to the year it was first commercially available, the number will seem large. For example, iPhone sales have increased by a factor of 122 in just 7 years. In 1995, before the introduction of any glyphosate-resistant GMO crops, glyphosate use exceeded 12 million kg in the US (a 30-fold increase compared to 1974). Glyphosate use certainly increased dramatically in conjunction with adoption of Roundup Ready (glyphosate-resistant) crops. But even the 20-fold increase between 1995 to 2014 is not purely due to GMO crops, as other uses of glyphosate have expanded during that time due to cost decreases that followed patent expiration. Based on USGS data from 2012, approximately 18% of glyphosate was applied to areas that were not planted to GMO crops. This may seem nit-picky, but I do think it is worth noting since the “250-fold increase” can sound a little inflammatory out of context. For all the nit-picking, it is worth noting that the 80% of 250 million pounds of glyphosate applied to GMO crops in the US is certainly a major selection pressure for glyphosate-resistant weeds. Dr. Landrigan and Dr. Benbrook cite glyphosate-resistant weeds as a primary reason why “fields must be now be treated with multiple herbicides,” but this point also deserves some context. In corn, for example, multiple herbicides have been a common practice since long before GMO crops were introduced. In the year 2000, before Roundup Ready GMO corn had gained widespread adoption in the US (and also before glyphosate-resistant weeds were growing in corn fields), corn growers were applying nearly three herbicide active ingredients per acre. The latest USDA data from 2014 show fewer than 3.5 active ingredients applied per acre. This suggests that while glyphosate-resistant weeds may certainly have increased the number of herbicides used per acre compared to 5 years ago, the change has been relatively modest when compared to herbicide use before adoption of GMO crops. Dr. Landrigan and Dr. Benbrook also make several misleading statements in their opinion piece, including that the Enlist Duo registration decision by EPA “failed to consider ecologic impact, such as effects on the monarch butterfly and other pollinators.” The EPA provides all relevant regulatory decision information on its website, including the environmental risk assessment documents. Just one of the risk assessment documents for Enlist Duo contains over 100 pages of ‘ecologic impact’ data and interpretation, including environmental fate, degradation, aquatic and terrestrial organism toxicity and exposure estimates. The EPA also explicitly addresses how Enlist Duo will affect pollinators on an FAQ page dedicated to the Enlist Duo registration. It is inconceivable how Dr. Landrigan and Dr. Benbrook could conclude the EPA “failed to consider ecological impact” of Enlist Duo herbicide based on the vast amount of information provided in support of the registration decision. Additionally, the Enlist Duo registration decision was not “made in haste” as Dr. Landrigan and Dr. Benbrook state. 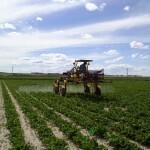 The Enlist Duo registration followed the US regulatory process in place for pesticide decisions, and even extended the public comment period before a decision was made. All public input was reviewed and EPA’s 30+ page response to those public comments is also publicly available on their website. It is worth noting that these two herbicides (glyphosate and 2,4-D) are two of the most widely used (and most widely studied) pesticides in the world, having recently gone through extensive reviews by several international regulatory bodies. There is really nothing about the Enlist Duo registration process that could be considered hasty. Regardless of the headlines that will eventually accompany reporting on this opinion piece, there is nothing new presented here. And in fact, the information that is presented doesn’t really support the actions Dr. Landrigan and Dr. Benbrook are proposing.